Fraser Fyvie is on the lookout for a new club following his exit from Hibs. The 24-year-old midfielder was one of several players given the chance to sign a new deal after running out of contract at the end of the Easter Road club’s Championship-winning campaign. With Hibs eager to begin preparations at the earliest opportunity for their impending return to the Premiership, offers were made under the proviso that players had to give a swift indication of whether they intended to accept them. While the likes of David Gray, Darren McGregor, Liam Fontaine and Marvin Bartley had little hesitation in intimating to the club that they wished to remain, Fyvie took extra time to consider his future and then rejected the terms on offer. But, after a change of heart, he went back to Hibs to accept their proposal. However, with several weeks having elapsed since the initial deal was put to him, he was informed that it was no longer on the table. The former Aberdeen player, who helped Hibs win the Scottish Cup 13 months ago, has resigned himself in recent weeks to a future away from Easter Road and is now exploring other options. Fyvie initially joined Hibs on a short-term loan from Wigan Athletic two-and-a-half years ago and, after making a positive early impression under Alan Stubbs as the team finished second to Hearts in the Championship, he made his move to Edinburgh permanent in summer 2015. 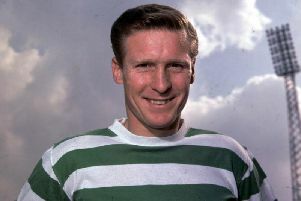 When fit, he was a regular under both Stubbs and Neil Lennon. He leaves Hibs having made 77 appearances – 67 from the start – and two goals. Fyvie started both the Scottish Cup semi-final against Dundee United and the final against Rangers last year after missing the early rounds of his team’s historic march to glory through injury. The Aberdonian’s departure means John McGinn, Dylan McGeouch and Bartley are the only senior central midfielders currently available to Lennon, although young duo Scott Martin and Fraser Murray will be pushing for more prominent involvement in the upcoming campaign.